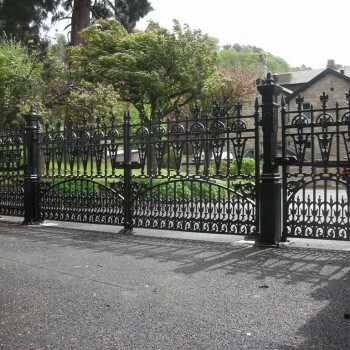 The Gilberton Collection of Cast Iron Gates and Cast Iron Fencing was taken from an original gate we discovered. 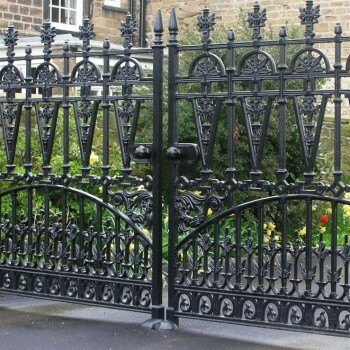 The resulting collection has proved to be one of our most popular. 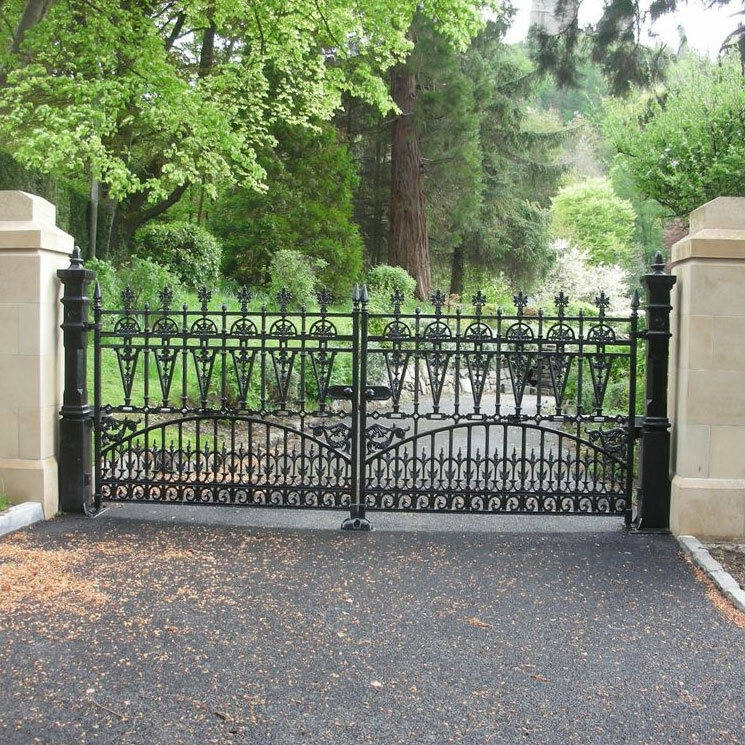 The stunning Gilberton design is one of our most decorative and intricate with detail that truly sets this Gate apart from the rest. 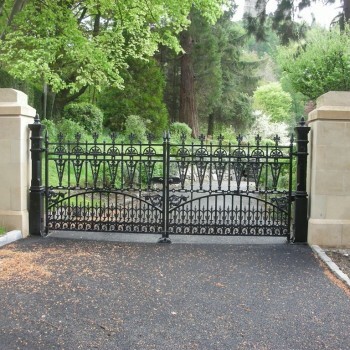 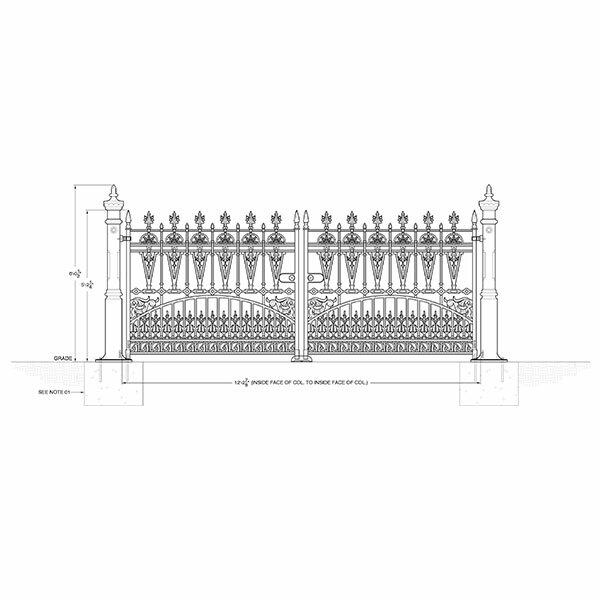 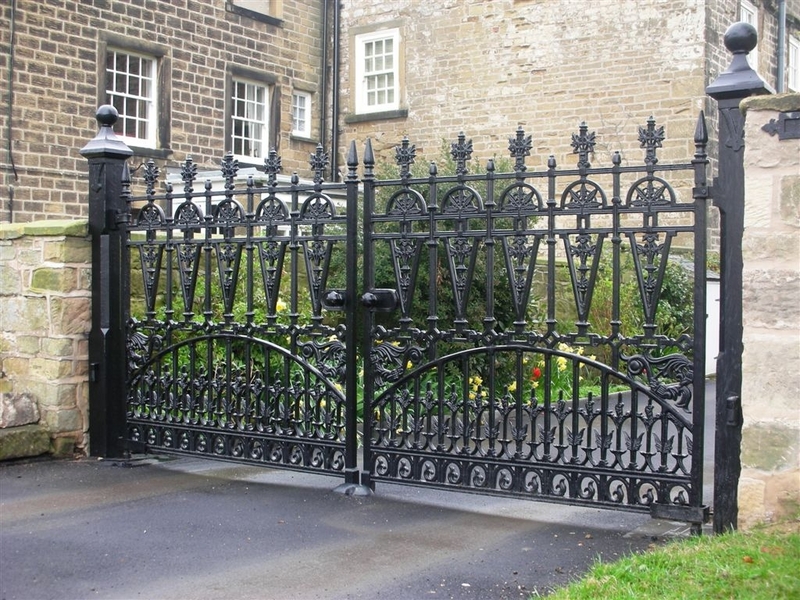 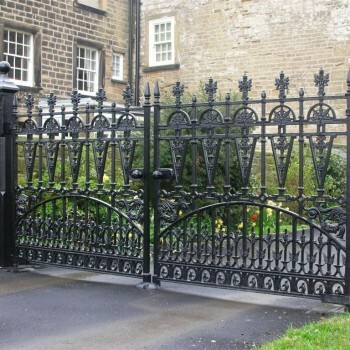 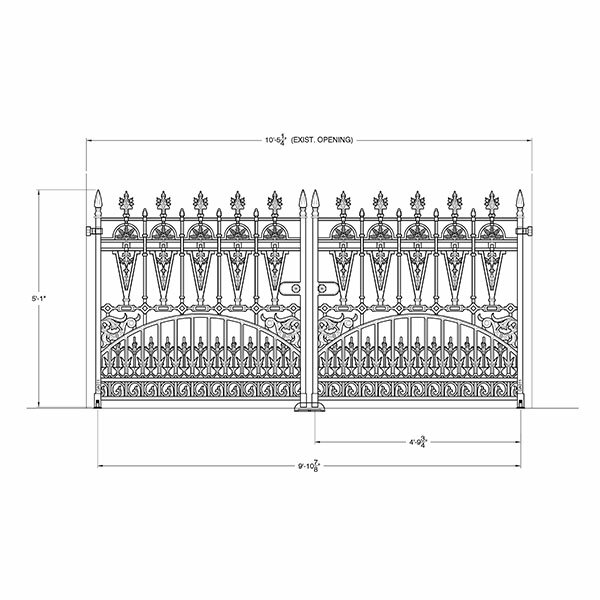 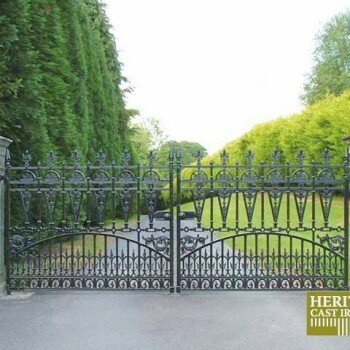 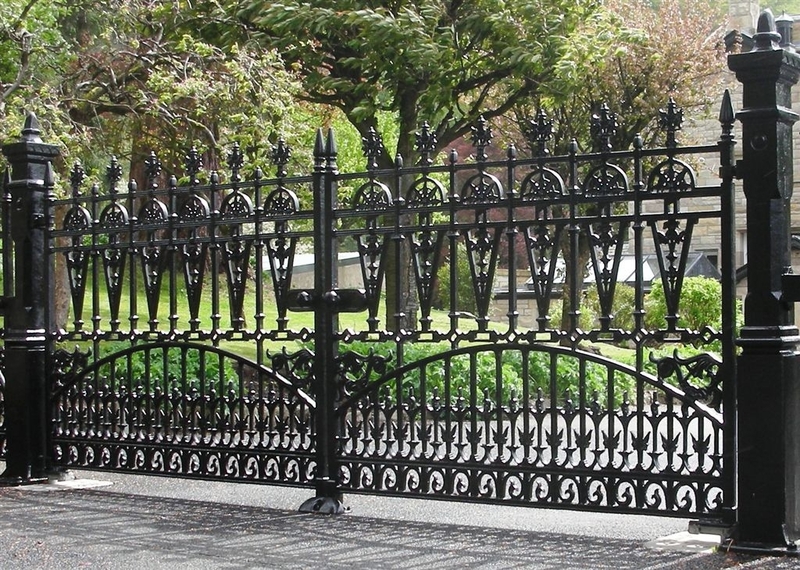 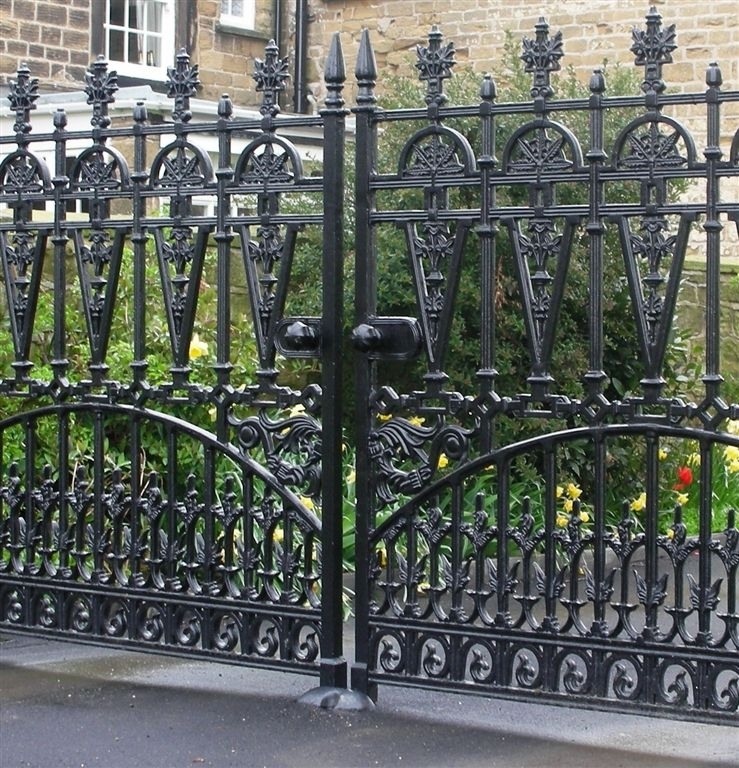 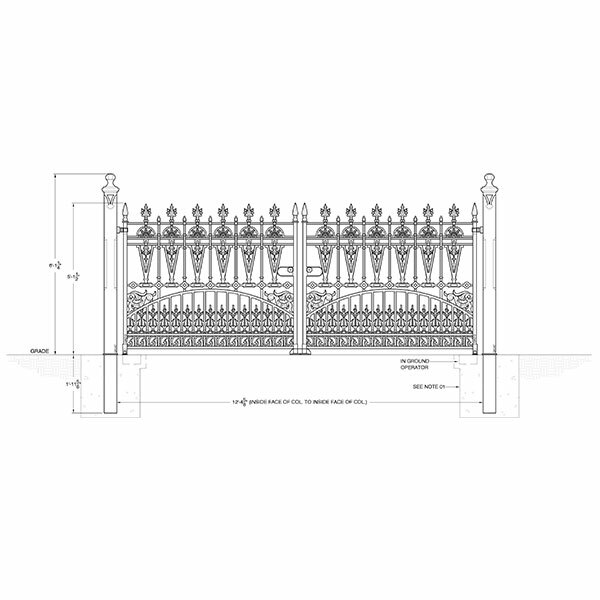 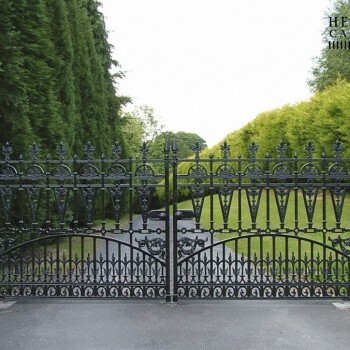 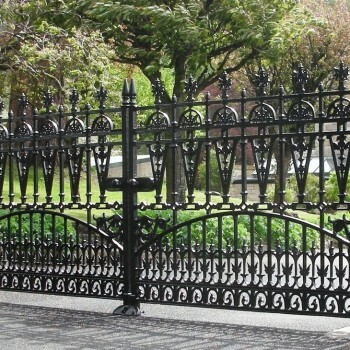 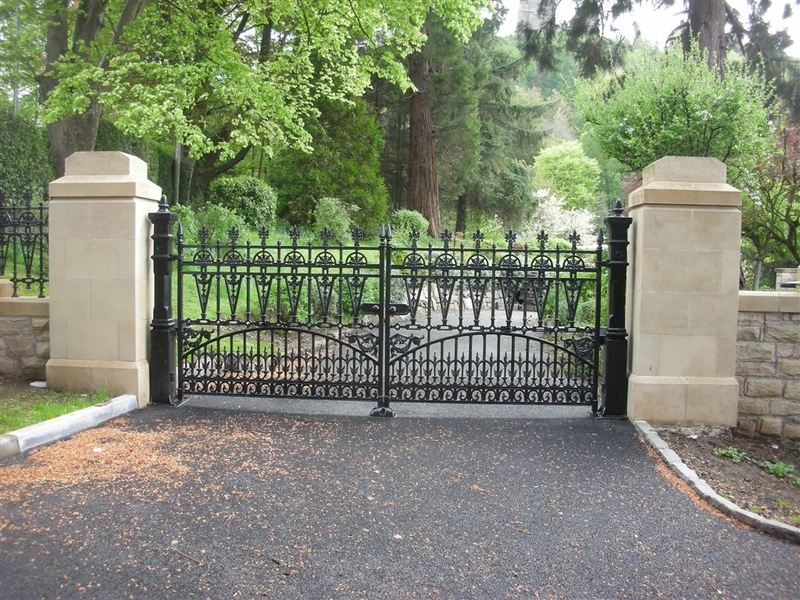 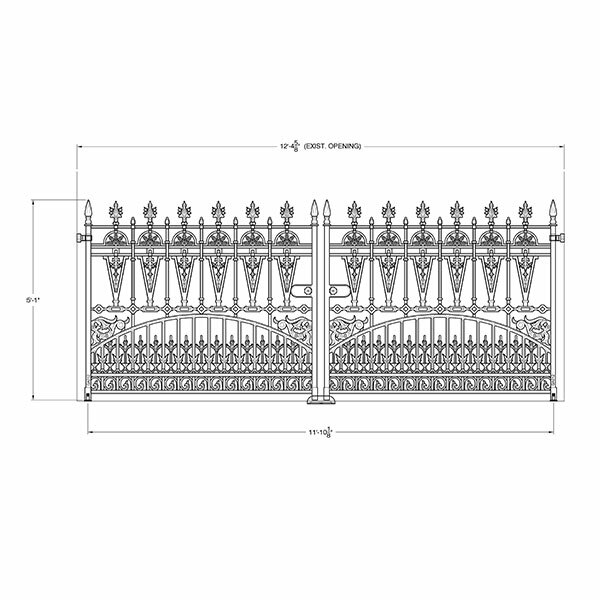 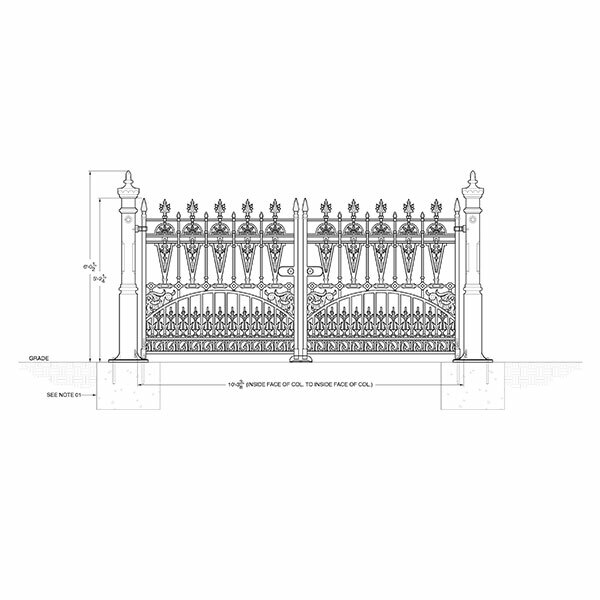 The Gilberton Cast Iron Collection includes Driveway and Pedestrian Gates, Posts and Fencing. 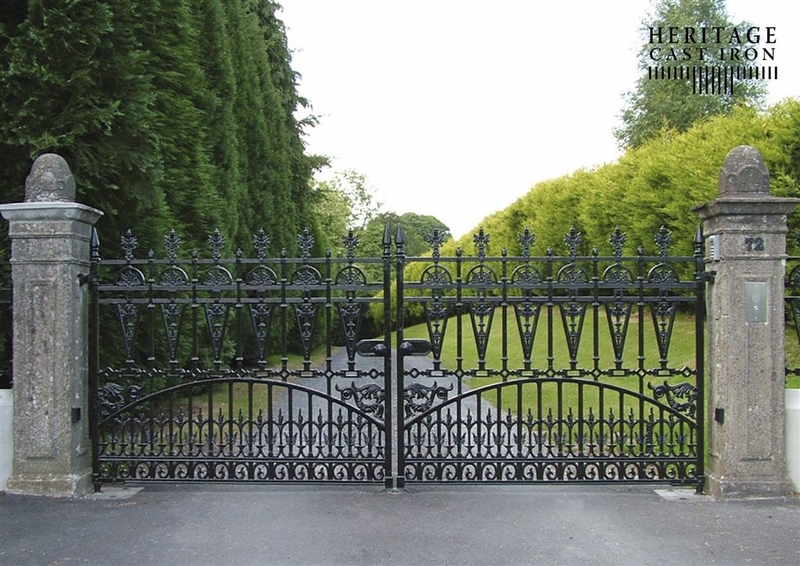 The Gilberton Collection of cast iron gates and fencing illustrates the intricate designs and proportions of High Victorian design. 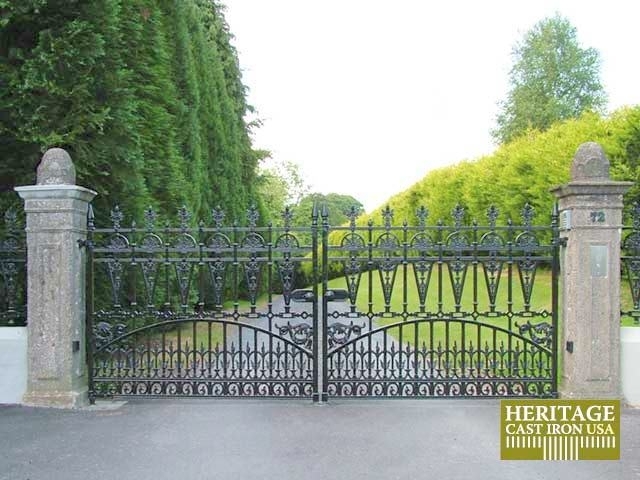 Taken from a salvaged original pattern from 1890, the collection includes intricately designed cast iron Driveway Gates, Pedestrian Gate, gate posts, fence, fence posts, Fencing and fence posts. 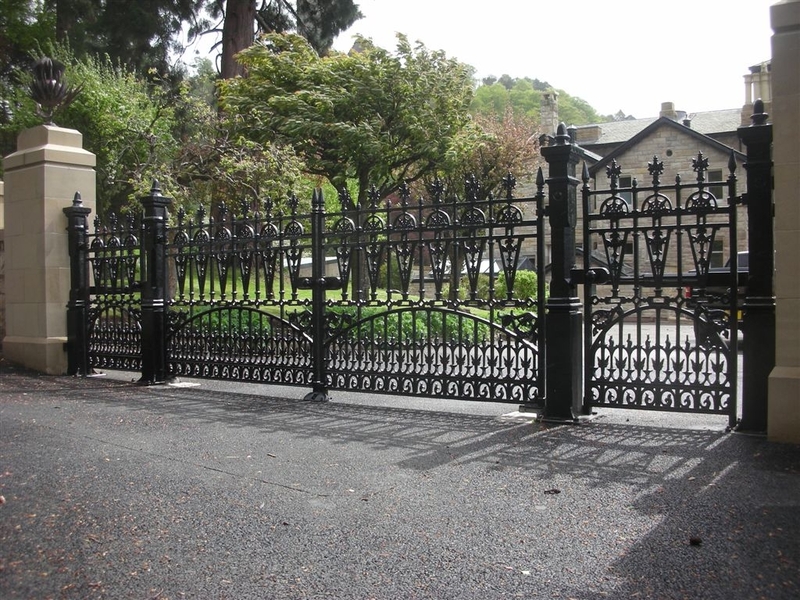 Our Gilberton Collection of Drive Gates, Pedestrian Gate, Railing and Posts are pre-primed and undercoated for their final coat after installation. 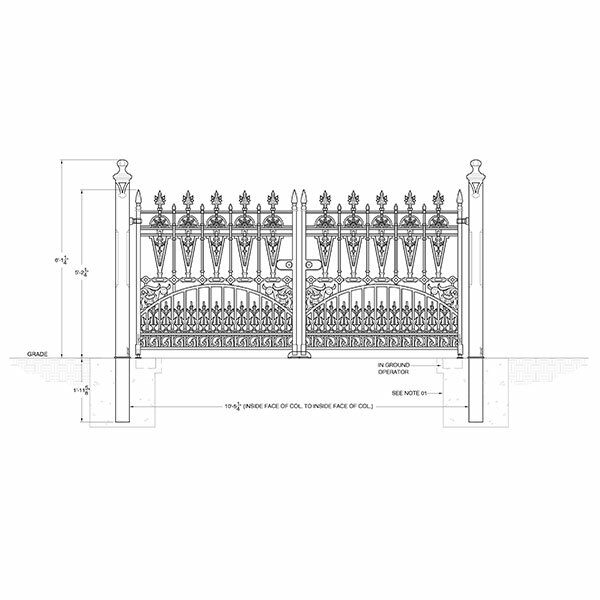 CAD drawings are available on request.